Immediate payment of US $76.84 is required. Worked pretty well for a while. This pump worked surprisingly well for the cost, but didn't do what it said it would. In my well, it is 85ft down to the first water and I could only place the pump down to a total of 109 ft or it quit pumping. ANY deeper and it didn't have enough lift. 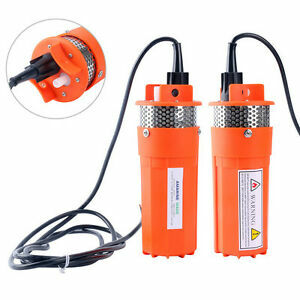 At that depth, however, run off a 24 volt regulated power supply, it pulled a steady 1.8gpm. For 3 weeks anyway..... then it quit. I'm hoping to be able to get a warranty replacement at this point and we are without water for our animals until I can figure something out. If it lasted, it would be a great value. It pulled very little power and worked great to fill a 275gallon tank once per day, but it needs to last longer than 3 weeks to be a good value; honestly, I would be reasonably happy with 6 months and ecstatic about a year and probably would figure I got my money's worth at 3 months, but 3 weeks is ridiculous. 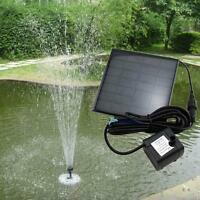 Work like a charm in my well with 129 feet deep and two solar modules of 100 Watt each, no batteries. Haven't dropped in the well yet, but a 5 gal. bucket & could't hold the pressure back on my hose. 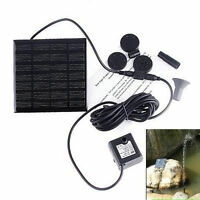 Been using this for a water trugh for the last two weeks works great with a solar panel and batteries. No complains at all. Great product.